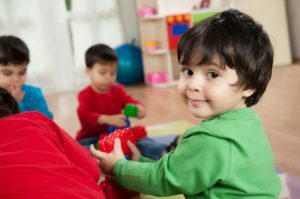 The Pre-K (pre-kindergarten) program is geared towards fully preparing the students socially and academically to enter the fascinating world of kindergarten. Students will move beyond the basic ABC's and 123's. Aligned with the NYS Common CORE standards our curriculum includes a concentration in literacy, speaking/listening, language acquisition and expansion, science, social studies, and math. 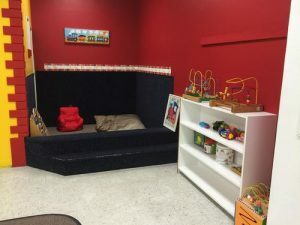 The lead teacher continues to differentiate the needs of the students, while teaching them the social and academic skills essential for kindergarten. The pre-kindergarteners maintain a daily routine, working both independently and in groups, while respecting their friends, practicing their manners and patience. Students will continue expanding their literacy skills and vocabulary through thematic, weekly scholastic magazines, Let's Find Out and Science Spin where language arts, social studies, science concepts and experiments are explored. Math skills are also taught through an array of fun games and activities. These concepts are all integrated throughout their day, all through age appropriate guided instruction and exciting and fun learning hands-on lessons and activities. As their year progresses, students will be assessed formally and informally. The lead teacher will provide remedial and or enhancement on a one on one basis, as needed. The pre-kindergartners will end their school year with an original graduation performance culminating their accomplishments of the year. At pick-up time, parents/guardians will receive a "Daily Gram", which allows the teacher to provide families with daily communication of their child's day. In the gram the parent/guardian will know what he/she ate, enjoyed and learned throughout the day, and any pertinent information relating to his/her day. All our classrooms have an "Open Door Policy" and we encourage families to call and or visit your child's classroom at any time.